Ships tomorrow if you order in the next 23 hours 51 minutes. 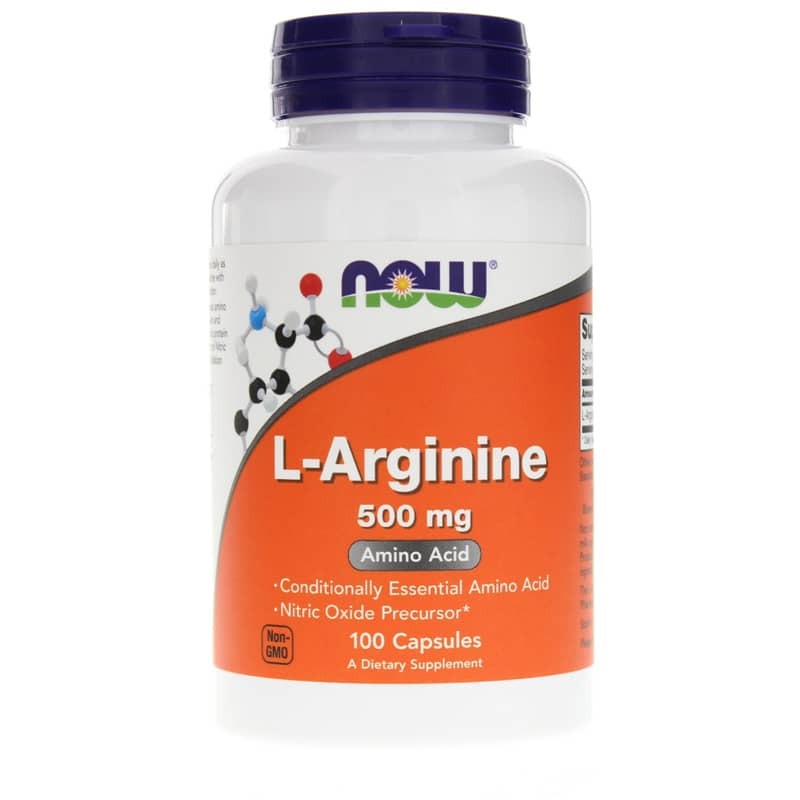 In the body, the metabolism of l-arginine leads to the formation of nitric oxide which is an important catalyst for healthy dilation of blood vessels, circulation, and blood flow. 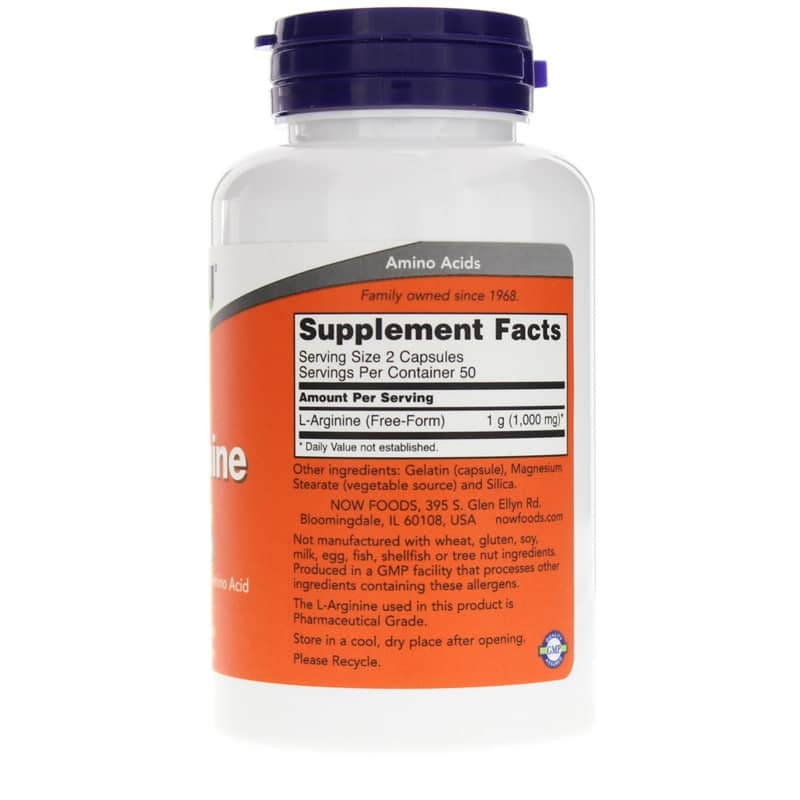 L-Arginine can support the cardiovascular system, the immune system, sexual function, and memory. L-arginine may also improve bladder comfort and function in some individuals. Other Ingredients: gelatin (capsule), magnesium stearate (vegetable source) and silica. 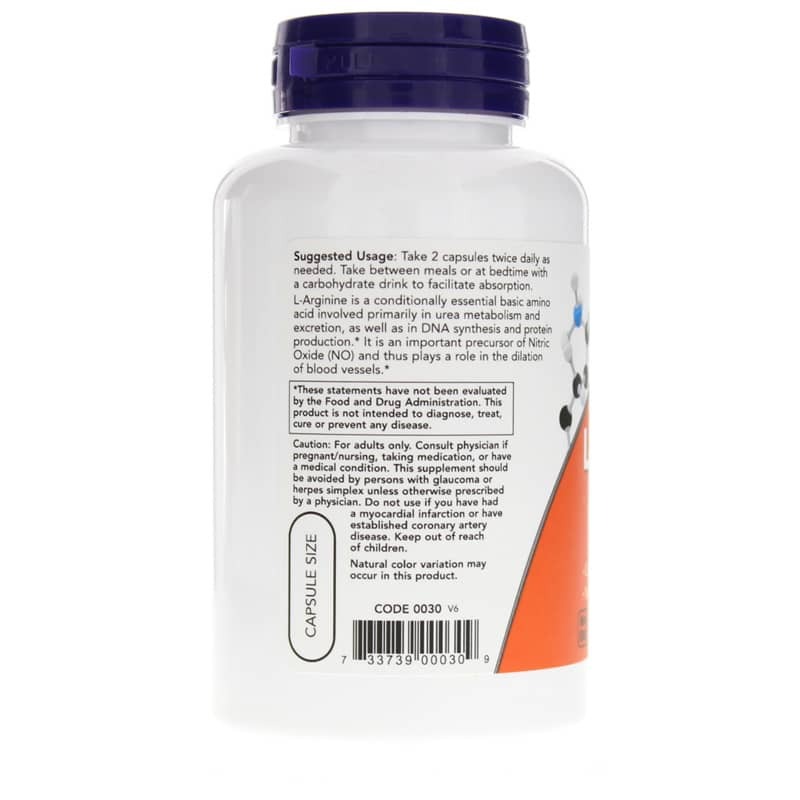 The L-Arginine used in this product is Pharmaceutical Grade. Not manufactured with: wheat, gluten, soy, milk, egg, fish, shellfish or tree nut ingredients. Produced in a GMP facility that processes other ingredients containing these allergens. Non-GMO. Adults: As a dietary supplement, take 2 capsules 1 to 3 times daily as needed. Take between meals or at bedtime with a carbohydrate drink to facilitate absorption. This supplement should be avoided by persons with glaucoma or herpes simplex unless otherwise prescribed by a physician. Do not use if you have had a myocardial infarction or have established coronary artery disease. If you are pregnant, nursing, taking medications or have a medical condition, please consult your healthcare practitioner before taking any dietary supplement. Keep out of the reach of children. Great product for the price, works very well.